Neuropaquell is an advanced nerve pain supplement that is designed to be a powerful pain reliever for pain associated with neuropathy. The formula is reported as being one of the only supplement-style pain relievers that can compete with clinical-strength pain-relieving medications that would be prescribed by a doctor. Boasting better B vitamins, the supplement supports nutritional processes so proper nutrients can be absorbed to combat pain associated with neuropathy. But does it really work as promised? Quantum Leap Nutraceuticals is located in Orlando, Florida in the United States, and they are a leading manufacturer of clinical-strength nutraceuticals. They have a state-of-the-art manufacturing facility that follows the strict Good Manufacturing Practice (GMP) guidelines. The company claims to be a family-oriented company that does not include corporate stakeholders for the benefit of the business. They employ a chief quality-control expert and medical professionals who continuously strive to ensure their products are safe and high-quality. Quantum Leap Nutraceuticals have a mission to make products that they would have no problem giving to their own family members. The supplement is specifically formulated with a list of ingredients that are all relative to the treatment of neuropathic pain. Through a combination of vitamins that help the body absorb other vitamins necessary for a healthy nervous system, and the healthy vitamins and supplements meant to aid neuropathy, it claims to have an ingredient list that compares to clinical-strength medications. All of the ingredients in the formula have some relation to neuropathy treatment and support, which means the supplement is designed to give the body exactly what it needs to prevent the negative effects of the disease. Vitamin D (As Cholecalciferol) – Vitamin D is a fat-soluble secosteroid that helps the intestines absorption of other vitamins and minerals. Vitamin D plays a significant role in the reduction of pain associated with diabetic neuropathy, according to studies by BMJ Open Diabetes & Care. Riboflavin (Vitamin B2) – Riboflavin is a B-complex vitamin that supports metabolic energy production in the body. The Neuropathy Treatment Group states that Riboflavin assists the body's absorption and use of other B vitamins, making it a necessity for neuropathy patients. Alpha-Lipoic Acid – Alpha-Lipoic Acid (ALA) is actually found in animals, but is marketed as an antioxidant. The supplement is believed to help aid people who suffer from diabetic neuropathy and has been used in Europe for a long time for that specific purpose. Benfotiamine (As Vitamin B1) – Benfotiamine is a synthetic form of vitamin B1. There has been one study performed to show the effectiveness of vitamin B1 in treating diabetic kidney disease, and neuropathy benefits were observed as a secondary trait of the study. L-Arginine – L-Arginine is an amino acid that the body uses in the breakdown of proteins. While many claims are available stating the benefits of L-arginine, there has been only one study in which it was concluded the amino acid had no effect on clinical neuropathy. Feverfew Extract – Feverfew is a plant native to Asia. leaves are harvested and dried for use in herbal medicine. Feverfew extract is known to aid people with migraine headaches but is also used to treat nerve pain and inflammation. Oat Straw Extract – Oat straw extract comes from green oats, and it is a longstanding herbal medicine. Oat straw is known to calm the nervous system, reduce inflammation, and improve cognitive function. Chinese Skullcap Root Extract – Chinese skullcap is a flowering plant native to China. the extract is known to aid Parkinson's disease and even Alzheimer's, It is proposed as helpful for nerve conditions. Neuropaquell should not be taken without first consulting your doctor if you have certain medical conditions, but there are no potential side effects listed. Because it is a supplement and not a prescription medication, it has not been tested by the FDA, and common side effects have not been established. However, the company does offer a satisfaction guarantee if users are not completely satisfied or experience adverse reactions. Overall, Neuropaquell has a fairly good reputation but does have some common complaints from those who have tried the product. The primary complaint about it from reviewers is that the product just didn't work for them, or it did not work well enough. A few negative reviews claim the product did not work for pain associated with neuropathy but affecting specific parts of the body, such as the feet. There are many reviews available online for the product. Some reviews are available right on the product page, and a lot of other reviews can be found on Amazon.com. Walmart.com, and several other nutritional supplement websites. Jean gave the product only three stars, claiming the effects did not last. Kathleen gave Neuropaquell only one star, claiming it was about as effective as a placebo. Quantum Leap Nutraceuticals does offer a satisfaction guarantee for this products. Their website claims that they offer a 100 percent money-back satisfaction guarantee that is hassle-free if you are not satisfied. Unfortunately, there is no information available about the duration or terms of the money-back guarantee on their website. You can find contact information on the website to reach out to the company if you have questions and concerns, however. This guarantee seems to encourage people to feel confident in their purchase of Neuropaquell, but there's no mention of how the refund process has worked for anyone who was not satisfied. Neuropaquell is available through the Quantum Leap Nutriceuticals website for $59.95 for a bottle of 120 capsules. Amazon.com actually has the same sized bottle of Neuropaquell for at least $10 cheaper from several reputable sellers. The supplement is also available through Walmart, eBay, and several small health-supplement retailers online. All retailers do seem to tout the same money-back guarantee associated with the product, and all of them do also offer the same product sizes, and they do it at a cheaper price than the manufacturer. However, with so little information about the said money-back guarantee and the terms, it could be better to buy directly from the manufacturer's website just to ensure that protection. 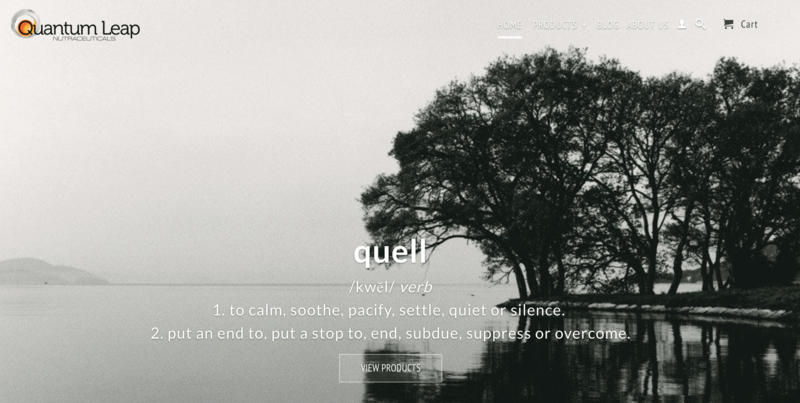 Overall, Neuropaquell seems to be a legitimately well-made and well-thought-out product. 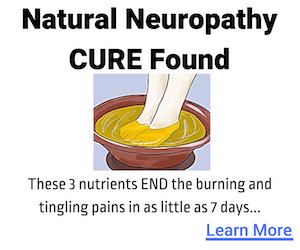 The specific ingredients given are all associated with neuropathy pain and treatment in some way or fashion. The company is located in the US, the product is made in a well-overseen facility, and the company seems to legitimately care about quality by following the proper and respected procedures during the manufacturing process. While reviews are almost 50 percent bad and 50 percent good, this could potentially be a helpful supplement for those who struggle with neuropathy nerve pain. The reviews about the product lead you to believe it works exceptionally well for certain types or levels of neuropathy pain but simply does not work for all people who suffer from the condition. All in all, this supplement might be something worth trying for people who do have neuropathy and are looking for treatment outside of usual prescriptions.